Professor Foluke Ogunleye obtained her B.A. in Dramatic Arts from the University of Ife (now Obafemi Awolowo University) in 1982, and went on to acquire her Master's and Doctorate degrees in Theatre Arts from the University of Ibadan. She is a teacher, filmmaker, producer, director, actress and writer with specialization in Theatre and Media Studies. She has directed and produced such films as The Solid Rock (1993), The Broken Hedge (1997), Born to Live (2000) and Heaven's Gate (2007). Prof. Ogunleye is the author of over sixty book chapters and articles in reputable Journals in Nigeria, South Africa, Ghana, Swaziland, Malawi, Britain, USA, etc. she has written over thirty plays for stage, screen and radio. Her published books include African Video Film Today (2003), Theatre in Swaziland: The Past, the Present and the Future (2005), Theatre in Nigeria: Different Faces (2007), Africa through the Eye of the Video Camera (2008) and Transformation and Advancement: The African Video Film (forthcoming). She is the recipient of many awards, fellowships and grants which include the 2006 CODESRIA (Senegal) Textbook Grant to write a book on Video Film in Africa and the 1997 Humanities Institute Fellowship to undertake a study of African-American Cinema at the Northwestern University, Evanston, USA. She presently serves as the Editor of Humanities Review Journal. She is also on the Editorial Board of Journal of African Media Studies housed in the University of Westminster, England. 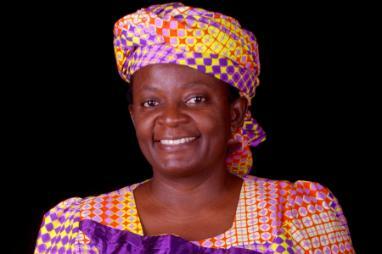 She held a visiting position at the University of Swaziland from 2003 to 2005. Prof. Foluke Ogunleye is the Executive Director of the Ife International Film Festival. She is also the current Head of Department of Dramatic Arts and Executive Director of the Awovarsity Theatre, Obafemi Awolowo University, Ile-Ife, Nigeria. Bring film industry professionals from different parts of Africa together for the development of the genre. Build bridges of understanding and cooperation between the different countries that will be represented at the festival. Bring industry professionals in contact with theorists through plenary sessions, workshops, seminars and panel discussions. Bring film production professionals, especially women, together for the development of the industry. Make films available to members of the audience who might not have any other opportunity to watch such films. Provide a conducive environment for film viewing, where members of the audience would enjoy the African communal experience. Provide an inter-cultural experience which will engender more understanding of the cultures presented through the films. Foster a sense of history through exhibition of films of different periods from various African countries. To publish papers presented by filmmakers, theorists, critics, etc. at plenary sessions, special workshops, seminars and panel discussions, thereby contributing to the growing literature on the African film.